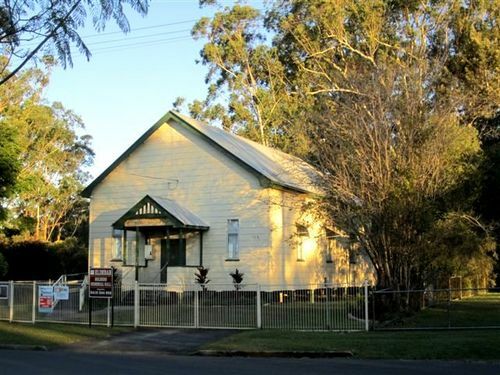 The Soldiers Memorial Hall at Elimbah was erected to perpetuate the memory of fallen comrades who lost their lives in World War One. Perfect weather prevailed on Anzac Day for the opening of the Memorial Hall, which was witnessed by a very large gathering of residents of Elimbah and district. Mr R. J. Warren, M. L. A. who was greeted with applause, said he considered it was an honour to have the privilege of performing the ceremony. Anzac Day was a sacred day in honour of the men who had bled for Australia and it was especially appropriate for such a ceremony. He complimented the committee, particularly Mr. J. English who constructed the building free of charge. The Brisbane Courier (Qld), 27 April 1922.